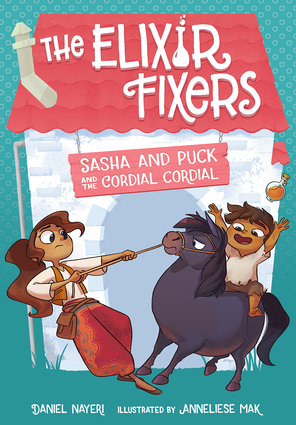 Sasha's father sells magic potions, but the potions don't work. Can Sasha find a way to make the magic happen? Daniel Nayeri was born in Iran and spent some years as a refugee before immigrating to Oklahoma at age eight with his family. He is the author of several books for young readers, including Straw House, Wood House, Brick House, and Blow: Four Novellas. He lives with his family in New Jersey. Anneliese Mak is an Australian illustrator and animator currently living and working in Canada, with a love for animals, scarves, checking the weather, and bread. She revels in the challenge of telling stories in a single image.